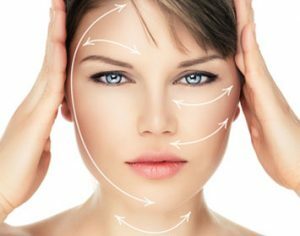 HSA Dermal Clinic is proud to offer a comprehensive range of skin treatments and supplementary services, provided at our advanced skin clinic in Richmond upon Thames. Our experience and expertise extend to all aspects of skin treatments and general beautification for men and women alike. We exclusively work with the most sophisticated technology at our Richmond upon Thames skin clinic, combining unbeatable results with guaranteed value for money. Whether looking to address an existing skin condition or simply improve the appearance and youthfulness of your skin, you can count on the committed support of our experienced clinical Aesthetic and skin specialist. Our dedication to the latest technology and most sophisticated treatments has earned us an unrivalled reputation among skin clinics in Richmond upon Thames and across London as a whole. Contact the team at HSA Dermal Clinic today. HSA Dermal Clinic is an established and advanced Richmond laser clinic, specialising in a wide variety of non-invasive treatments for the people of Richmond and the wider region. We utilise the latest advances in laser technology to address skin conditions, perform permanent hair removal and generally beautify skin for men and women of all ages. We perform exclusively non-surgical treatments at our Richmond laser clinic, eliminating downtime and maximising affordability for every client. Whatever the nature and severity of the issue, you will not find a more capable or committed team of clinical Aesthetic and skin specialist in Richmond. We take pride in offering every new customer a pressure-free, obligation-free consultation to discuss the treatments we provide. We’ll carry out a full assessment of your condition and requirements at our Richmond laser clinic, before helping you decide on the very best course of action. Pay us a visit anytime for a chat, or contact a member of the HSA Dermal Clinic team to book your free consultation. Discover what makes HSA Dermal Clinic the most reputable and recommended skin and laser clinic Richmond has to offer. Since going into business, we’ve committed ourselves to going the extra mile for each and every client we work with. Not content with simply performing in line with industry standards, we’re constantly pushing boundaries with the latest technologies and the most sophisticated treatments available. From our advanced skin and laser clinic in Richmond, we perform an extensive range of cosmetic treatments for the beautification and rejuvenation of skin for men and women alike. From permanent hair removal to correction of pigmentation issues to effective scar removal to non-surgical facelifts, everything we offer is 100% non-invasive and provided at the most competitive price. If you’d like to learn more about any of our services, we’d love to welcome you to our cutting-edge skin and laser clinic in Richmond anytime for a chat. HSA Dermal Clinic is an established and experienced Richmond hair removal specialist, providing an extensive range of permanent hair removal solutions for men and women in Richmond. We offer a wide variety of treatments for the fast, effective and permanent removal of unwanted hair from all areas of the body. Whether looking to tackle problematic hair growth or simplify your everyday grooming and styling regimes, we’re the Richmond hair removal specialists you need. Our commitment to the most advanced technologies enables us to perform at an entirely higher level than the average Richmond hair removal clinic. We refuse to compromise on quality, though always go the extra mile to keep our services as affordable as possible. What’s more, we’d be delighted to invite you for an obligation-free consultation at our Richmond clinic, in order to discuss the available options and assess your requirements. Contact a member of the HSA Dermal Clinic team today to arrange an appointment.